​Carbon: 80% Premium Carbon Weave. Head: Maxi Head, Grip Face. 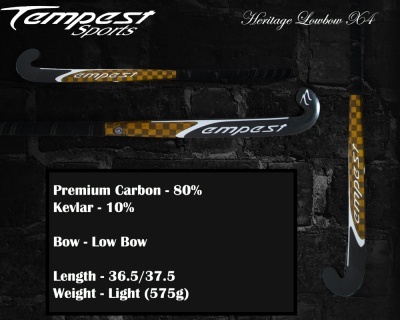 Playability: If you loved the last edition of the Heritage Lowbow X4 then you're going to love this stick even more. 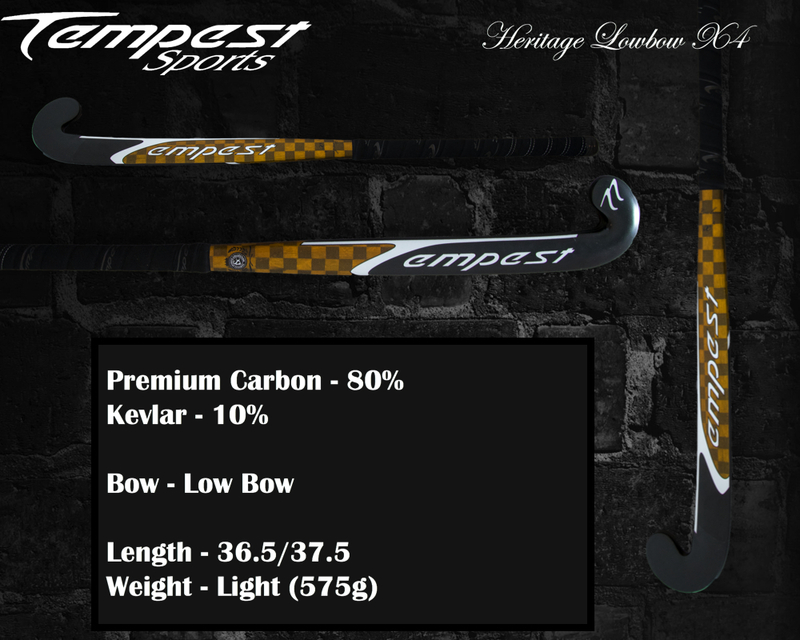 Same specs, improved quality and better looking by far with our Gold Carbon Weave, this is our classic Lowbow given a facelift for 2018.